The second largest lake in Guatemala, Lago Petén Itzá is famous for its dramatic changes in color, shifting from cobalt blue to a green turquoise hue in an instant. Some in the local community believe the cool waters contain almost magical powers, because of the powerful sense of rejuvenation many people experience after swimming in the lake. Complimentary canoes are available to our guests. La Lancha’s pool is also a wonderful place to cool off after a trek to the Maya ruins of Tikal. Located just below the Main Lodge, the pool sits above the Casitas offering spectacular views over the lake. 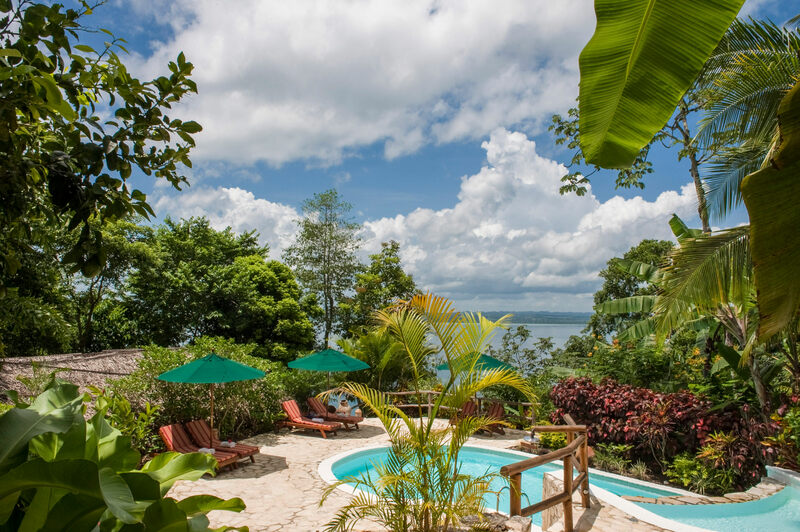 For more information about Guatemala hideaway activities, contact us today.